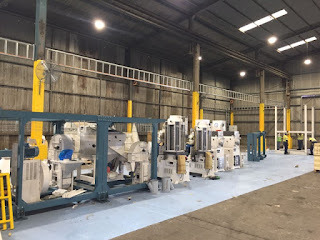 Trukai Industries’ long-term plans for a sustainable commercial rice industry in PNG have taken a further leap forward as a new state-of-the-art paddy rice mill in Lae nears completion. 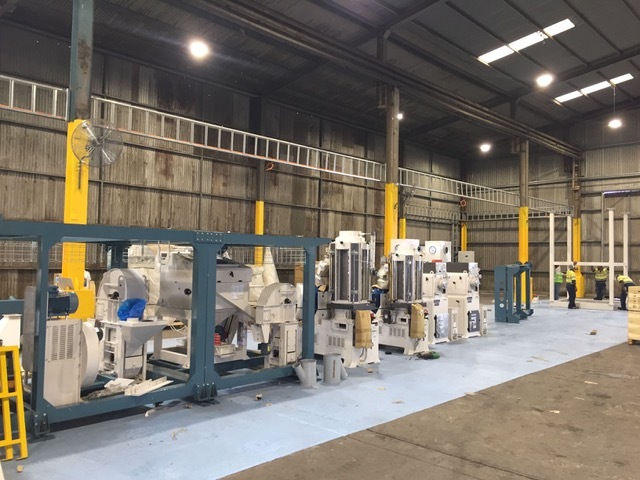 With the Trukai Industries Rice Mill Maintenance Team working alongside Vietnamese Industrial & Agricultural Machinery Company Bui Van Ngo, installation of the Paddy Rice Mill has is now in full swing, with expected completion before the end of September. In recent months the Rice Mill Maintenance Team has been preparing the area for construction including upgrading services, installing infeed equipment, ensuring Good Manufacturing Practice(GMP) standards, organising the fumigation area and refurbishing office space for the new rice mill. The mill has maximum production capacity of a staggering 240 ton per week, though output will be limited by how much rice can grown at this stage. Trukai has laid down their blueprint to grow the local rice farming industry exponentially over the next decade and beyond. Alongside the Chingwam Rice Growers Cooperative it has established 500-plus hectare rice plantation near Rangiampum which will be progressively expanded up to 2,000 hectares over a number of seasons. “Our technicians expect the project to be completed within the next few weeks,” explained James Gawne, Engineering Manager for Trukai Industries Limited. Trukai Industries General Manager for Agriculture Jarrod Pirie said the new rice mill was another foundation being laid to establish a bona fide local rice industry. “The mill is being developed to be future-ready for when our local farmers are producing rice at a greater rate than at present, which will happen,” he said. “Year-on-year that growth is being displayed on the ground, through our investment in technology and training with local farmers. Our work with Chingwam Rice Growers Cooperative is a statement for how far we have come in a short space of time.